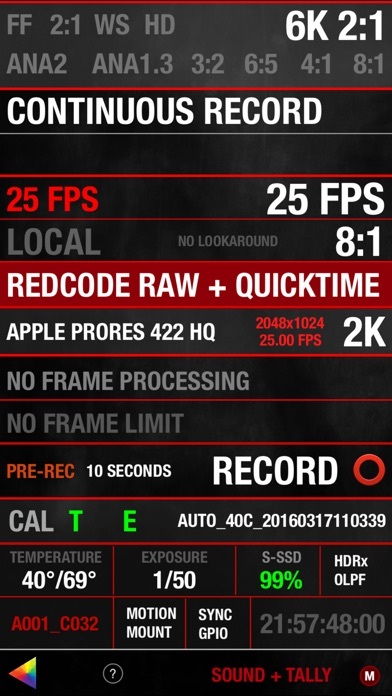 foolcontrol lets you get full control over a RED DIGITAL CINEMA DSMC™ camera connected to the same network as your iOS device, WEAPON, EPIC-W, SCARLET-W and RAVEN all have built in wifi but EPIC / SCARLET cameras require additional wireless accessories to work with foolcontrol (see below). - PREVIEW : recording state, format, project / sensor frame rate, timecode, pre-record, frame trigger frame tagging, OLPF, REDcode, lookaround, shutter angle / speed, histogram, goal posts, traffic lights, gamma / color space, recording mode, frame processing, HDRx, Motion Mount, iris vale, white balance, tint, ISO, tools, RAW view, magnify, production info, scene and take metadata, VU meter, battery level / time left, media remaining / recording time, clip count, clip name, previous clip info. Indicators for : LAN, ext. 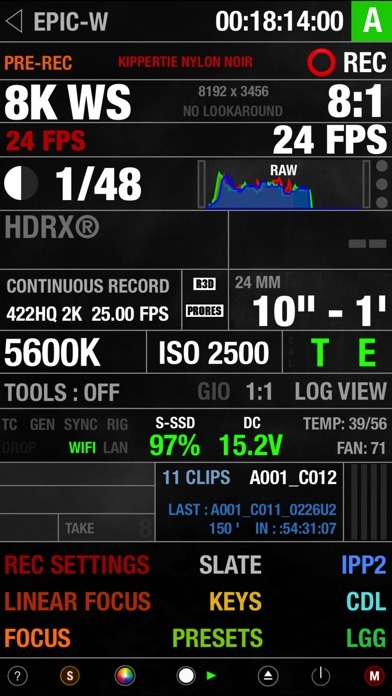 timecode, sync, genlock, RIG, errors, camera fan speed and temperature. Eject media, power saving modes and shutdown the camera. 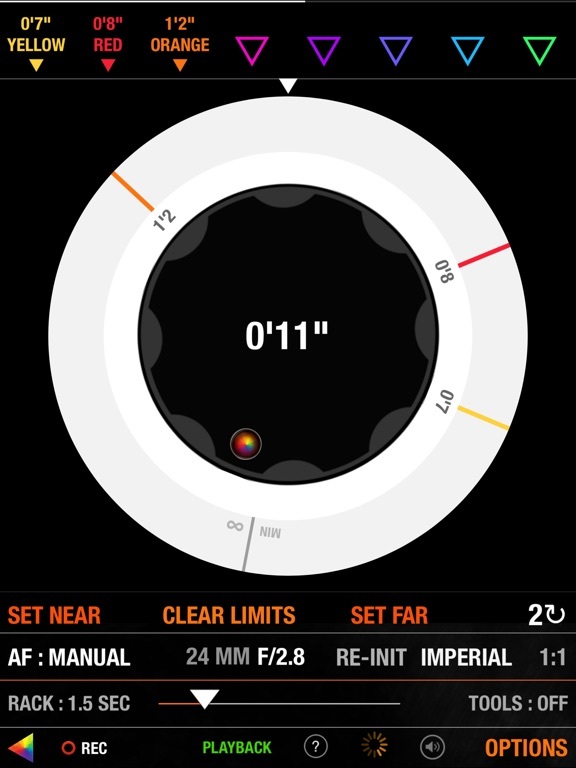 - FOCUS : Circular focus disc with advanced features : colored users marks, smooth bezier rack focus with adjustable speed, add hard stop for near/far focus, select 1,2,3,4,5 or 10 knob turns for super precise focusing without loosing any previous marks, searchable preset focus discs markers, create, recall, sort, rename and export your own user focus distance discs : unique mode lets you add repeatable distance marks for your lenses. 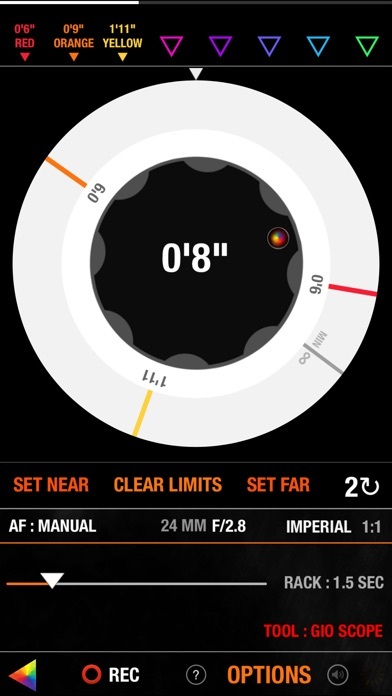 AF mode selection, autofocus trigger, AF zone size and center, rack focus mode points recall, iris, magnify, record start stop, audible marks and more. 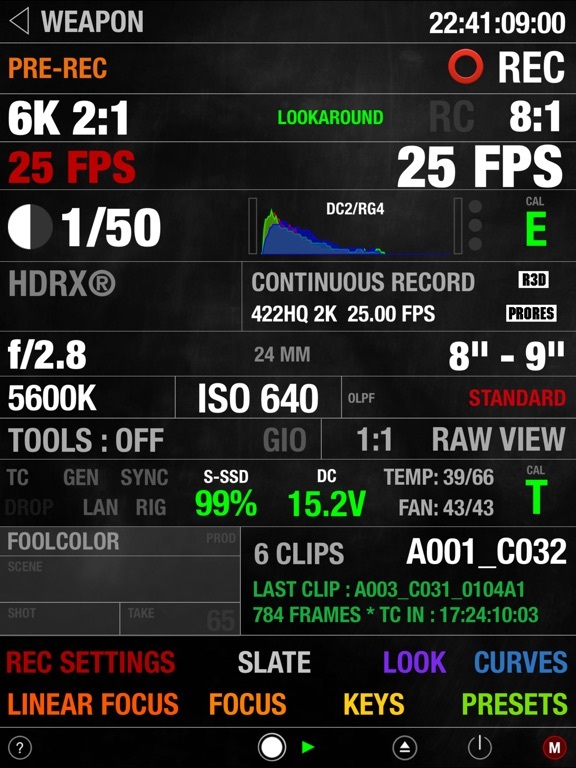 - KEYS : navigate your camera menu using knob, buttons or gesture pad. Access to all buttons and menu pages. 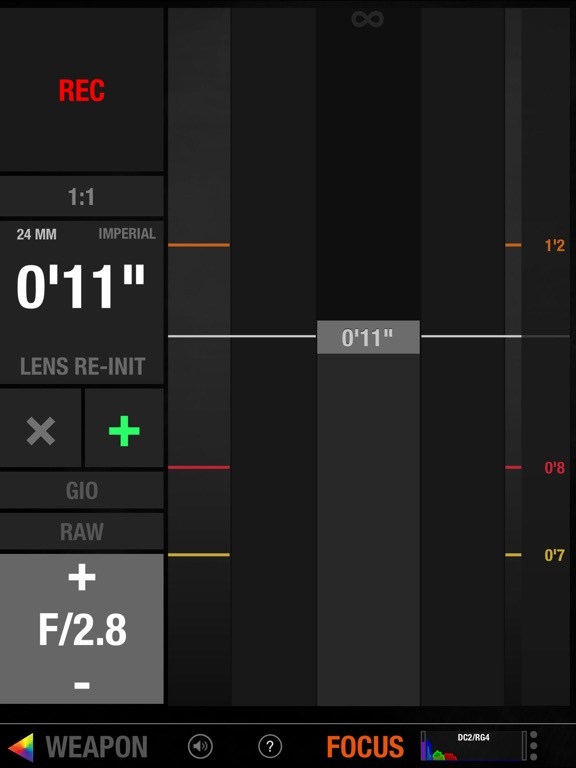 - PRESETS : create and apply camera presets. 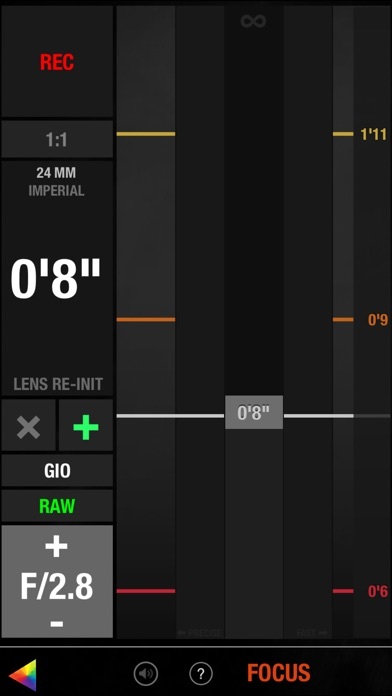 A preset can include one or several parameters from look, curves, camera settings, slate and many more. Presets can be sorted, renamed and exported by email. 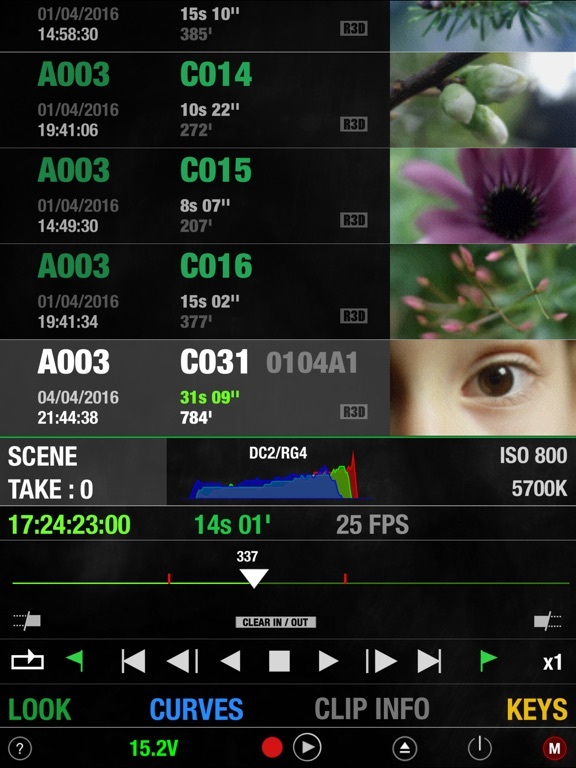 - SLATE : quickly set metadata values for production, director, DOP, scene, shot, take, project info, camera operator, unit and location. GPS location (on GPS enabled devices). 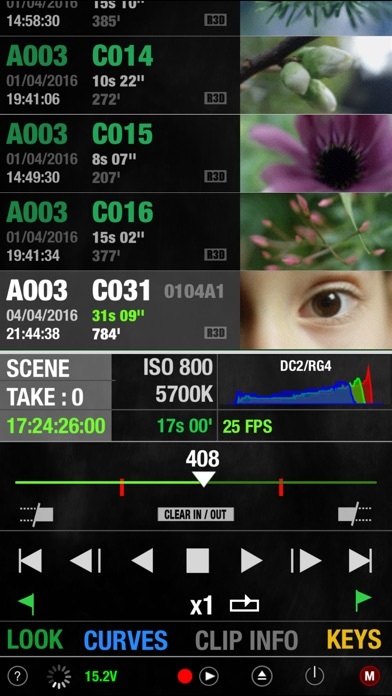 Set timecode mode and value. WEAPON / EPIC-W / SCARLET-W and RAVEN have built in wifi ready for foolcontrol. Wooden camera has an antenna replacement accessory called the 'Wifi Side Plate' to increase camera wifi range. It is always recommended to use a router on set (infrastructure mode) instead of the Ad Hoc network setup in camera. TPLink WR802N is a great affordable USB powered option. 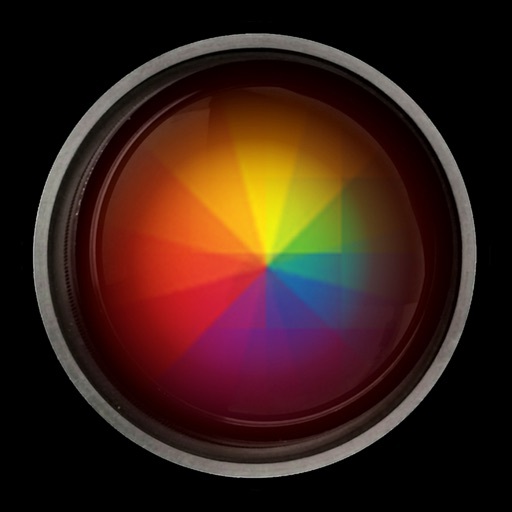 This application requires iOS 8.1 and up and will only work with RED DSMC cameras. It does not work with the RED ONE or any other camera. Focus control requires a RED Canon or Nikon mount and a compatible electronic lens. 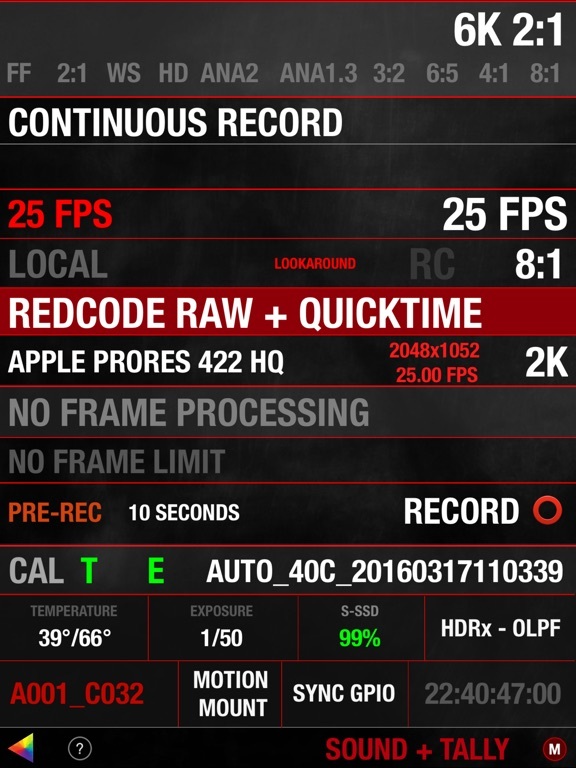 foolcontrol lets you get full control over a RED DIGITAL CINEMA DSMC™ camera connected to the same network as your iOS device, WEAPON™ / SCARLET-W™ and RAVEN™ have built in wifi but EPIC™ / SCARLET™ cameras require additional wireless accessories to work with foolcontrol.